I posted this brief review in my 'Books Read in February' post earlier today, but when I tried to list it on the Calendar of Crime review page it gave me every pic in that post to choose from except 'Maisie Dobbs'. So I'm blogging it separately and hopefully it will now work. This book was a reread for me from at least ten years ago. I hadn't been all that smitten with it back then but during a blog chat with Judith from Reader in the Wilderness about the series I decided to give it another go, given how popular it is with a lot of people. Basically, Maisie Dobbs has set up a private detective agency after serving in WW1 as a nurse and going to Cambridge university. She has a very humble background but was sponsored by Lady Rowan Compton when she was caught reading in the library in the middle of the night, something maids were obviously not supposed to do. The Great War interupts her studies at Cambridge. Maisie goes to The Front to be a nurse where she falls in love with a doctor. What happens there, how Maisie subsequently sets up her agency and conducts her first case is the subject of the book. I have to say I enjoyed it much more than the first time around. So much seemed unlikely back then, such as a member of the peerage sponsoring a maid, but perhaps I'm less critical these days: more accepting. Whatever... I'd forgotten how good the book is on nursing in WW1, the full horror is there, particularly as regards the facial injuries of some wounded soldiers. I wouldn't call this a murder mystery. 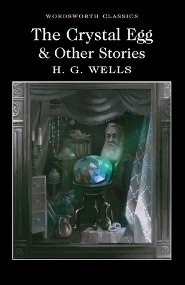 This is more social history with a mystery thrown in and as that it works very well. Looking at some of the upcoming books, there are 15 altogether, I find myself eager to find out what happens to Maisie so have reserved book 2, Birds of a Feather, from the library. Maisie Dobbs qualifies for Bev's Calendar of Crime under the May category 'Military figure has major role'... in fact there are two or three in the book. 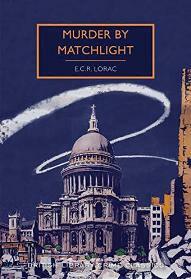 It also qualifies for Becky's World at War challenge under the category 'A fiction book set in the 1920s'. This book was a reread for me from at least ten years ago. I hadn't been all that smitten with it back then but during a blog chat with Judith from Reader in the Wilderness about the series I decided to give it another go, given how popular it is with a lot of people. 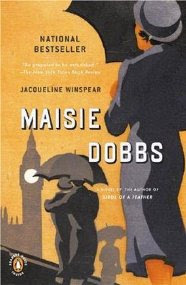 Basically, Maisie Dobbs has set up a private detective agency after serving in WW1 as a nurse and going to Cambridge university. She has a very humble background but was sponsored by Lady Rowan Compton when she was caught reading in the library in the middle of the night, something maids were obviously not supposed to do. The Great War interupts her studies at Cambridge. Maisie goes to The Front to be a nurse where she falls in love with a doctor. What happens there, how Maisie subsequently sets up her agency and conducts her first case is the subject of the book. I have to say I enjoyed it much more than the first time around. So much seemed unlikely back then, such as a member of the peerage sponsoring a maid, but perhaps I'm less critical these days: more accepting. Whatever... I'd forgotten how good the book is on nursing in WW1, the full horror is there, particularly as regards the facial injuries of some wounded soldiers. I wouldn't call this a murder mystery. This is more social history with a mystery thrown in and as that it works very well. Looking at some of the upcoming books, there are 15 altogether, I find myself eager to find out what happens to Maisie so have reserved book 2, Birds of a Feather, from the library. Maisie Dobbs qualifies for Bev's Calendar of Crime under the May category 'Military figure has major role'... in fact there are two or three in the book. 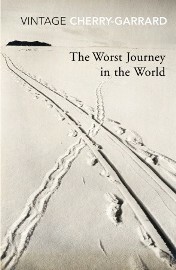 It also qualifies for Becky's World at War challenge under the category 'A fiction book set in the 1920s'. Very pleased with this month's books. Five might not seem like a lot but two of them were over 500 pages so those took a while to get through, particularly The Mitford Girls, not that it wasn't well worth it as that was a brilliant book. In fact, every book this month was good, no complaints at all. They have something in common, a lovely vein of gentle, dry humour running through both of them. 3,000 pieces, Alesund in Norway. 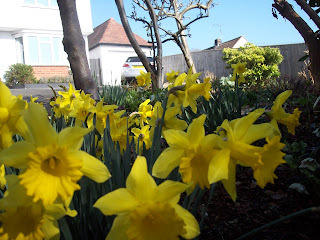 Happy reading in March! Several non-fiction books to review briefly today, read over the last 4 or 5 weeks. 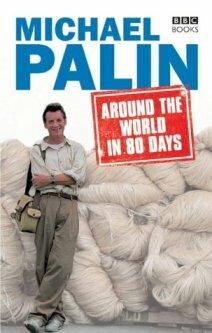 First up, Around the World in 80 Days by Michael Palin. This was my 2nd. book for Bev's Mount TBR 2019 reading challenge. 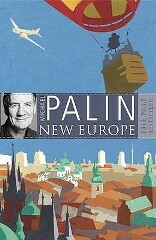 There can be very few people who have not seen one of Michael Palin's excellent travel documentaries. He's been everywhere, Pole to Pole, around the Pacific Rim, The Himalayas, explored Eastern Europe and recently went to North Korea. Around the World in 80 Days was his first adventure though, and it was quite surprising, looking at the photos in the book, to see how young he looks. Anyway, having watched all of these docs, I realised recently that I'd never read any of the accompanying books. And then out of the blue my grand-daughter gave me 80 Days for Christmas: perfect. So I've been reading it slowly since the new year and thoroughly enjoying Palin's rather wry, gentle style of writing and humour. You can of course read it in his voice which I always find very helpful. It was all rather familiar - he whips across Europe to Istambul on the Orient Express and from there to Eygpt, which he finds chaotic but convivial, to Saudi Arabia which is too regimented and controlled for his liking. Along the way someone suggests to him that Israel will cease to exist in 25 years, as this was 1988 we can see what happened to that prediction. He sails slowly on a dhow from Arabia to India and I remember that this was one of my favourite parts of the TV programme, I loved how the pace of life slowed so completely. 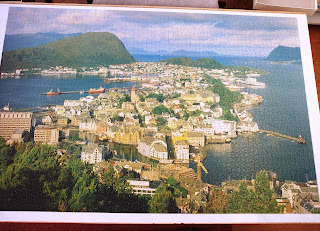 After that it's mainly very large container type ships he travels on which are not as interesting and you see how boredom sets in with him and his various 'Passepartouts'. What, stupidly, surprised me was how much sea travel was actually necessary, I suppose it's quicker and less complicated than going by land. In fact he was on one container ship that goes round and round the globe constantly in 63 days and, ironically, he realises that he could just have got on one of those to do the challenge. An enjoyable read, I enjoyed Palin's writing very much and also hearing about all the books he read along the way and how he acquired them. I shall read more and have in fact reserved his book about Eastern Europe from the library. 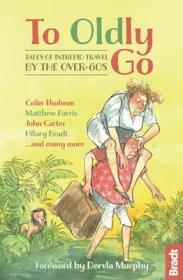 Next, To Oldly Go: Tales of Intrepid Travel by the Over-60s. I can't find an editor for this collection but it's published by the Bradt travel guide people. This is my book 6 for Bev's Mount TBR 2019 challenge. 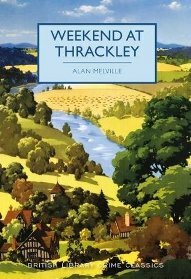 The travel writer, Dervla Murphy, provides an excellent foreward to this collection of travel tales of the over 60s, questioning why, in Jane Austen's time, people allowed middle age to take over at 40, especially as plenty of people back then lived into their 80s and 90s. These days that would be laughable and this volume of travel stories underlines that. It's full of people hardly in the first flush of youth, undertaking all kinds of perilous or slightly mad journeys. A few of my favourites: Matthew Paris swimming across the Thames - very dangerous apparently especially if you mistime your attempt by an hour. Diana Moran (the Green Goddess to those of us of a certain age) walking the Great Wall of China and reflecting on how many soldiers died building it, thus it's known as the largest graveyeard in the world. M.J. Pramik, a man who can't stand heights, goes paragliding with vultures. Elizabeth Pimm drives to Italy on her own, gets a flat tyre in France, two men stop to help her and then drive off with her handbag. The nastiness of the French police towards her took me by surprise a bit. John Carter (again to those of us of a certain age, a well known travel presenter on TV) goes white water rafting in Switzerland thinking he is in the hands of an experienced rafting crew... Rosemary Fretwell writes *beautifully* about walking the area around Cape Wrath in Scotland and so does Sue Bathurst in her piece about pony trekking in Bhutan. 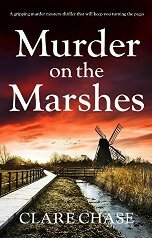 Janet Rogers goes to France on a working holiday to improve her French only to find the wife that she has corressponded with has gone off for the week and left her with her mono-syllabic husband. This collection varies a bit, some of the tales were a trifle pedestrian, or just not of interest, football in Sierra Leone for instance. But those that were good were very, very good and not all of the best ones were by professional writers. A lot were amateurs writing beautifully about their trips. I must investigate Bradt Travel Literature to see what else they have. Lastly, The Mitford Sisters by Mary S.Lovell. This is my 7th. 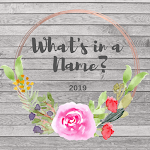 book for Bev's Mount TBR 2019 challenge. On the back of this book there's a quote by Lord Redesdale which pretty much sums this book up. "I am normal, my wife is normal, but my daughters are each more foolish that the other." To be honest, that's not quite fair although it's a good quote. Nancy, Pam, Diana, Unity, Decca (Jessica) and Debo were certainly a diverse bunch and it's often forgotten that they had a brother until the middle of World War 2, Tom who, if memory serves, came between Pam and Diana. It's quite hard to review such a huge (almost 600 pages) book because it covers such a huge timespan, 1904 - 2000 (Debo and Diana were still alive when it was written) and covers such a lot of ground. A lot of it is dedicated to what happened to the family during the war. It's well documented that Unity fell in love with Hitler but I didn't realise how determined she was to meet him and how she persuaded a lot of her family to do likewise once she knew him well. Pretty much all but Decca fell under his spell and only the girls' father, David, really changed his mind. Also fascinating was the story of how Diana fell for Oswald Mosely and became part of his BUF (British Union of Fascists). For someone like me who's only just beginning to learn the ins and outs of WW2 this made for rivetting reading. Decca lived mainly in the US and was an out and out communist, Nancy was a hugely famous writer, far more than I realised, Pam married a famous scientist at the time and Debo became famous as the woman who saved Chatsworth... I've read several of her books. There's so much to this book that I'd have to write reams to do it justice. For me, Mary S. Lovell struck the perfect balance. The facts, some of them, are quite extreme but I never felt preached at. It's clear what her opinions are about the sisters' shenanigans but she does try to give both sides of the argument when possible and treats the reader as intelligent enough to come to their own conclusions. I thought the writing was excellent too, very conversational and readable. 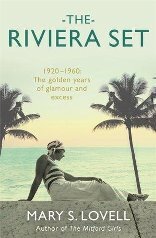 I'm delighted to discover that I have another book by her on my shelves, The Riviera Set, and she's also done one about The Churchills which I will certainly be getting. 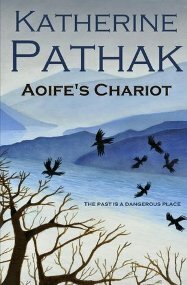 Aoife's Chariot by Katherine Pathak is my 6th. 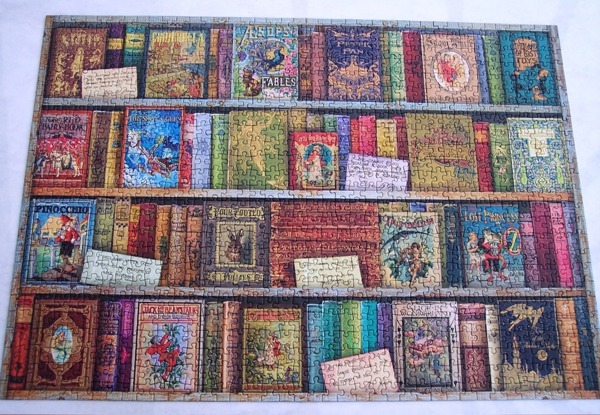 book for Bev's Mount TBR 2019 and also qualifies for her Calendar of Crime challenge under the April category of 'Book title has word starting with A'. Imogen Croft is a Scot who lives with her husband, Hugh, and children on the Essex coast in England. She had rather an idyllic childhood on the Scottish island of Garansay, situated in the Firth of Clyde, brought up with two older brothers, Michael and Allan. All three of the siblings have moved away but still maintain contact. 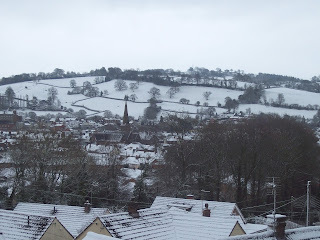 When their mother, Isabel, dies suddenly the brothers suggest that Imogen goes north to look at the old farm and decide what should be done with it. Should it be sold, or should they keep it? Some years ago Isabel had lost a bag when walking on the nearby mountain. Whatever had been in the bag was so important that it has caused a major upset in the family. It was never found... until now. Some builders find it and hand it to Imogen, but it's empty. Who took the contents? At a fete, Imogen has a confrontational run-in with one of her brothers' old acquaintances, Alison. The woman is clearly drunk and has a reputation for this kind of behaviour. No one thinks any more about it until her body is discovered floating in a loch up on the mountain. Investigations reveal, shockingly, that the manner of Alison's death is identical to that of an aunt... her father's sister. How can this possibly be? 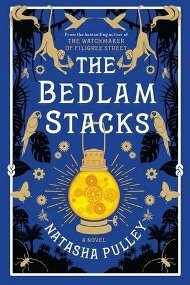 This one of those delicious 'family secret' type stories and, mixed with mysterious deaths and a fair bit of family history, it works tremendously well. Imogen slowly realises there are secrets in her family that she had no idea existed. Who was the mysterious Aileen who died young and who nobody talked much about? Why did her father distance himself from the family he was brought up with in the slums of Glasgow, to the point where Imogen hardly knew any of them? And what was in the bag her mother lost that was such a devastating loss? Imogen's quest to find an answer to these questions and more takes the reader on a fascinating journey. One of the nice things about this story, for me, was its depiction of a happily married couple as the main characters. 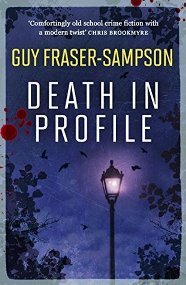 This is quite unusual, authors seem reluctant to allow any of their detectives a normal life. There are few who are not alcoholic, or in possession of three ex-wives and a clutch of hostile, estranged kids, sometimes all of the above... or indeed other sundry skeletons in residence in the cupboard rattling the lock to come out. So nice to have an ordinary couple, with ordinary kids and ordinary problems living a normal life. All power to Katherine Pathak's elbow say I, it's so refreshing. I gather that the island of Garansay is probably the Isle of Arran. I've never been but after reading this book I would now love to. It's a character in its own right, so vividly does the author bring it to life. 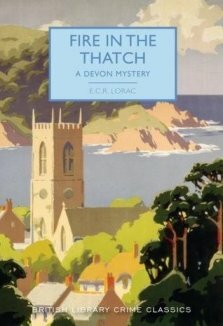 I loved descriptions of childhood haunts and grieved a bit with Imogen as she mourns the loss of the peace and quiet now that tourists have discovered their island. One section towards the end where there's a violent storm was so effective I felt I was actually there. Superb. Aoife's Chariot is book 1 of a series, the 'Imogen and Hugh Croft' mysteries, of which there are currently 6 books and a short story. I'm so looking forward to reading more and have already bought book 2, The Only Survivor, for my Kindle. Peggy at Peggy's Porch has also reviewed this book here. Well here we are, it's a while since I did an update of the various series I read (November 2017 in fact) so it's time to do just that. I have a dilemma when I look at the list. Why? Well there're so many that I've just not bothered with in ages and I'm trying to figure out why this is. Do I have a short attention span when it comes to keeping up or is it the fault of the books for not holding my attention? Maybe I just love starting shiny new series? Possibly there's something about the direction some of them take which no longer appeals: I know this to be true of one or two. In one case - Dark Iceland - I'm confused about which book to read next so that doesn't help. I also wonder if it's just not possible to keep up with so many series so I end up reading just the ones which interest me the most 'at the moment'. I should really delete that second list of crime books and forget about them but I find I can't. After all, I'm notorious for returning to a series years after I read the last one, loving it, and finding my enthusiam renewed. Never say 'never'. Where the next genre is concerned the problem is a different one. This genre just does not interest me as much any more. And yet when I do read something from it, I usually enjoy it and find it a refreshing change. So this list will remain and I'm not going to put stress on myself over it, just read from it as and when I fancy. I've become a serious crime fic reader, with a definite bent towards vintage crime and anything set overseas, especially the USA or France. I also seem to have shifted slightly from being a fiction reader to someone who also reads a fair bit of non-fiction. Given that I'm not a speedy reader that means something has to give and it's tended to be my series reading. 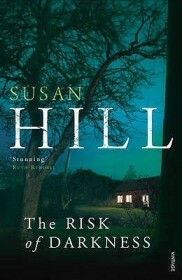 The Risk of Darkness is book three in Susan Hill's 'Simon Serrailler' (I still don't really know how to pronounce that surname properly) series of murder mysteries. 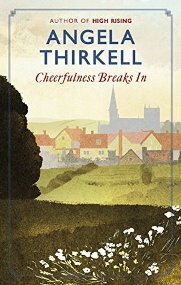 It's my fifth book for Bev's Calendar of Crime reading challenge and covers the February category of 'Author's birth month'. A child abductor is still at large in England (see book two). It's a source of huge frustration to the police in Lafferton from where one of the young boys was snatched. Despite all their efforts they were unable to catch the culprit. That seems a bit brief but that is the basic storyline. There is of course a lot more to this novel. The abductor is caught early on in the story with a child in the boot of the car. So we know who it is. The novel is really about how the police go about proving the same person is responsible for the other abductions. There is also heaps about Serrailler's private life, his family, especially his sister, Cat, and issues she has with her job and husband. Simon's treatment of women once again rears its ugly head, I liked the way his sister read him the riot act over this. And there is also a lot concerning periphery characters. A subplot concerning a bereaved husband becoming mentally unstable for instance and holding a female vicar hostage. In fact the poor female vicar suffers endlessly. Knowing that Susan Hill was against the ordination of women back in the day made me wonder if she had an ulterior motive here. The family of the child abductor also feature a lot, their reactions, their actions, the terrible effect it has on them which will now never end... it's perhaps something we don't think about enough, a nightmare scenario that we all hope never to go through. It's not an easy read this book. Susan Hill writes in a way which really gets to you. And I'm a bit of a wimp about child abduction in crime stories anyway, so I must admit to being a bit dismayed that the case wasn't sewn up in book two and continues on into this third book. 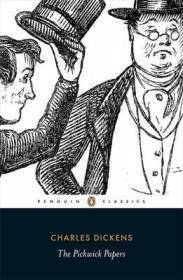 It's quite psychological, motivations feature a lot, sections are written from the point of view of the perpetrator's of awful crimes... it's all fascinating but not comfortable reading. It's a pageturner, I tend to read Hill's crime books fairly quickly in four or five large chunks (the book is nearly 500 pages long) but after this I will need something much lighter. And shorter! 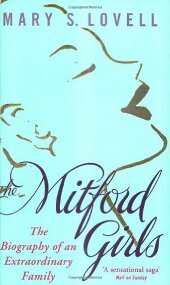 This is a book of essays by novelist, Nancy Mitford. I have to admit that I've not read any of her novels but I do enjoy a book of essays and articles and this one was not a disappointment. Obviously some were more interesting than others. My favourites were a highly amusing piece on going to see Wagner for the first time, an essay on the English Aristocracy, an article about the Mapp and Lucia books, a really brilliant one on Scott's ill-fated expedition to the Antarctic (beautifully written) and one called 'Blor' which was all about the six Mitford sisters' childhood nanny. 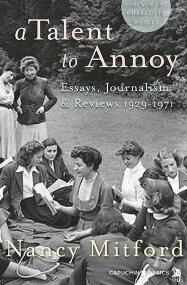 There was much more to enjoy, Nancy Mitford had a really cutting sense of humour and knew how to use it on paper, I laughed quite lot... but I also learnt an awful lot. She says at the end of the Scott piece, talking about various books on the subject, 'I would like to think that I may have induced somebody to read them again'. Well, I hope she would be happy to know that her excellent essay has made me want to do just that and I've reserved one of her recs from the library. I'm quite pleased with my reading month. Seven excellent books, two non-fictions, some really superb crime writing, I mean really superb. 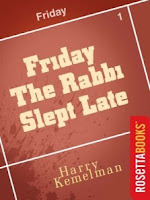 Too difficult to choose a favourite as The Beautiful Mystery, Friday the Rabbi Slept Late and Fire in the Thatch were all so good. 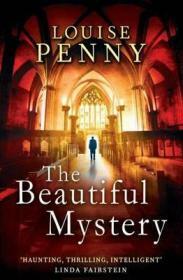 I would recommend these three books to any lover of crime fiction, although The Beautiful Mystery would not be a good place to start the Armande Gamache series.